GN Horizontal directional drilling (HDD) mud Cleaning and regeneration system and equipments become more and more popular,just last week,we got two orders from around clients,1 is from a HDD contractor company,and the other is from a company want to do HDD mud service. Currently looking at a project where we need to run pitless directional drilling technology. Mud will be water based, and self mudding, no additives. System to be built on skids and all drilling mud shakers and pumps etc driven by hydraulics. If required I can supply all the hydraulics when unit arrives in Australia. Please quote on 4 of these systems. Also quote on 6 mud/storage tanks with capacity of 35,000ltrs or more. Tanks can be no wider than 2.4 mtrs and must be skid mounted. If I could have an indicative quote by the 2nd December would be appreciated. We are interested in mud cleaning and regeneration system for horizontal directional drilling. Do you have this kind of equipment? 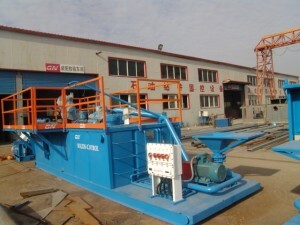 We are looking for good cooperation with you.Learn more about our hdd mud cleaning and regeneration system and equipments.